I bought one of those baby floor puzzles a few weeks back. They are made of foam with a hard surface. 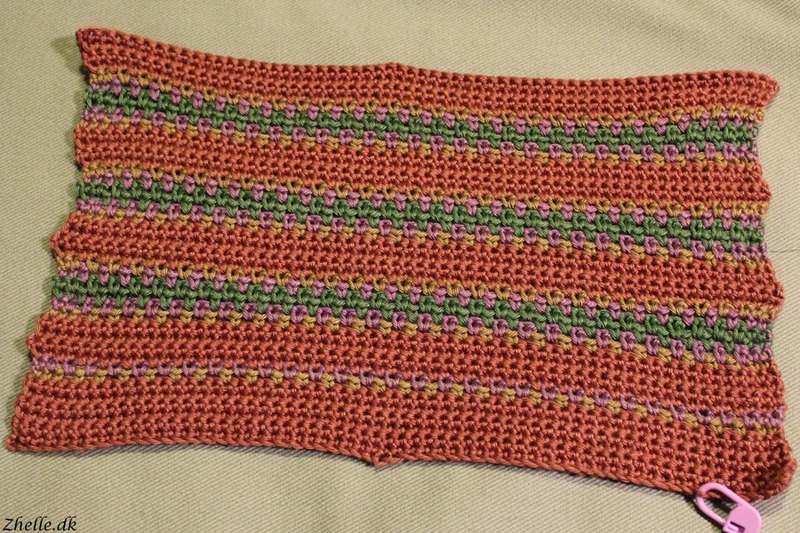 It is perfect for pinning crochet to blocking! 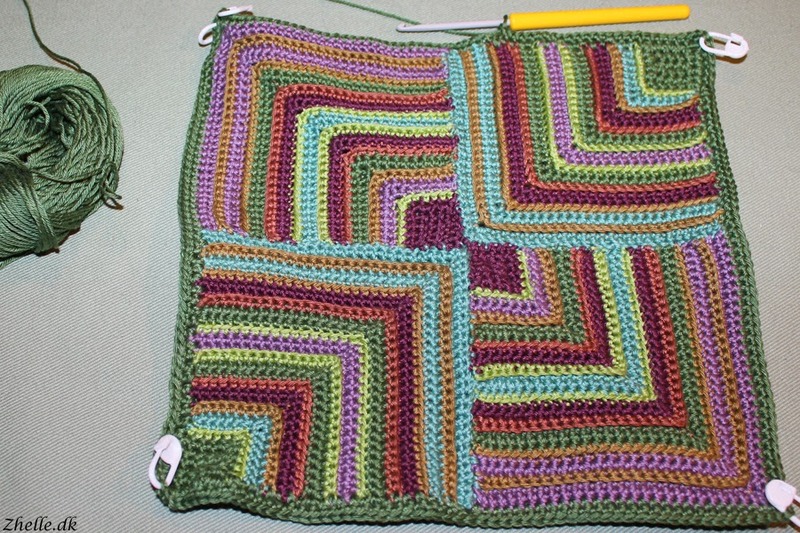 This is my very first blocked project, so I had no experience going into this. Well I certainly have a bit now! I pinned each edge with 3-5 pins depending on the length of the edge. It did give it a bit of a funny look (not completely square) but I figured it would even out. I sprayed water on it to make it wet, and then I let it sit until it had dried completely. 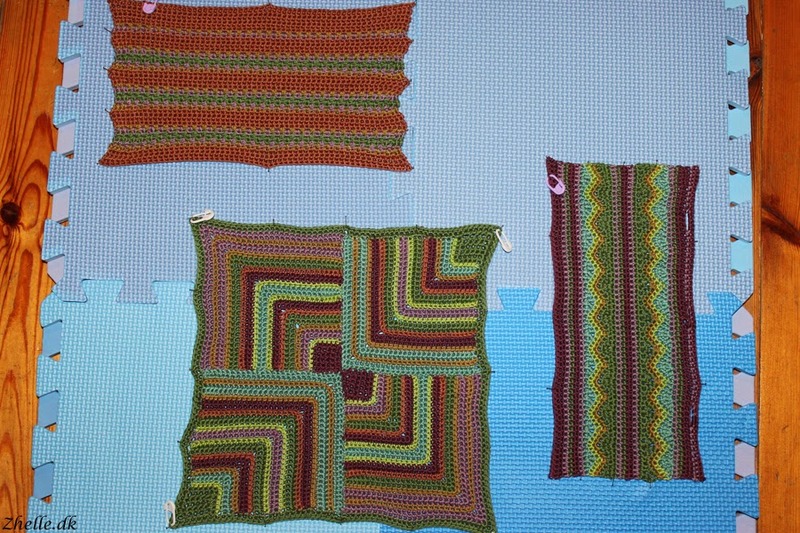 Blocking done! Let me share something here: It hasn't evened out. I haven't stitched the front and back of the pillow together yet, so I still have hopes that it won't be seen when it is all stitched together and on the pillow. But lesson learned: Make sure the piece is the shape you want it to be, when you start the blocking, because it sure stays that shape!